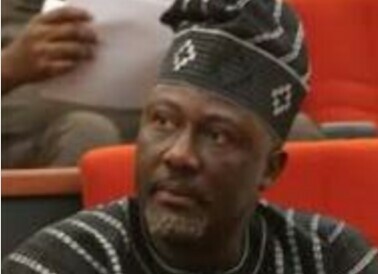 Dino Melaye at 43, he’s a millionaire & already a Senator of the Federal Republic of Nigeria with fleet of exotic & expensive cars worth millions of Naira in his garage & he refers to them as toys. Some civil servants in Kogi State have not received their Salaries in the last 15 months even with allocations, bailout & Paris club refund. Dino Melaye receives millions of Naira as constituency allowance with no any form of project to show for it & no constituency office. Yahaya Bello is in his comfortable office but some youths are outside fighting for him with their lives. You as a youth, your parents have not received salaries for 15 months & your constituency allowance is being used to buy expensive toys, you still go out there to fight for this people. My question is that, when are you going to be freed by the witches in your village? When will you come to your senses & start thinking of how to make your millions before 40 or at 40? Why would you allow politicians to use you when they don’t know you exist? Have any of you ever seen the children of this two titans? The youths should know that this two people knows what they are fighting for which is known to the both of them alone & know that no politician is worth loosing your precious life for. By the time all the youths realize this, politicians will not see any youth to use for violence again. Let those who have ears hear this as I rest my case at this juncture.